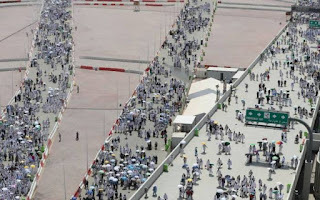 A pilgrim from Niger State, Musa Edotsu, has reportedly returned a cash sum in foreign currency equivalence of N400,000, which he found in a toilet in Saudi Arabia while performing the Hajj in Mecca. It was gathered that the money belonged to the Chairman of the Enugu State Pilgrims Board, Zukalraini Saeed. A journalist from Niger State, Abdul Isa, reported from the holy land via WhatsApp that the Nigerian pilgrim returned the money to the Niger State pilgrims board officials who in turn gave it to the owner. Ameerul Hajj of the Niger State Pilgrims, Abubakar Magaji, said the amount was handed over to the owner after identifying the other items found in a handbag which included a passport and some keys. Magaji was said to have appreciated Edotsu for his honesty at a time most pilgrims had run out of cash, saying the pilgrim would be rewarded with $200 by the pilgrims board.